Ok, so I haven’t really skating team dance too much in the past, and certainly not since I have started sewing. So while I am used to making costumes for myself, this was the first time I had the chance to sew skating costumes for a guy. For these costumes I made my dress and his jacket, but not his pants or shirt. I wanted to use a color, but I also wanted to keep a sophisticated and mature overall look. I used teal and black velvet. Here is the back of my dress. A not-so great look at the diagonal design on the back of the jacket. I used iron-on appliques to create the design on the dress and jacket. 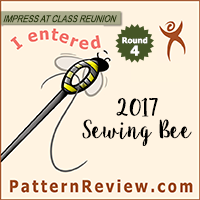 I used teal and black stretch velvet for the dress and jacket, and silk chiffon for the arm piece. The appliques were ironed on the skirt and sewn onto the bodice (so they would be more secure since there would be more stress on them when the dress is getting put on and taken off). 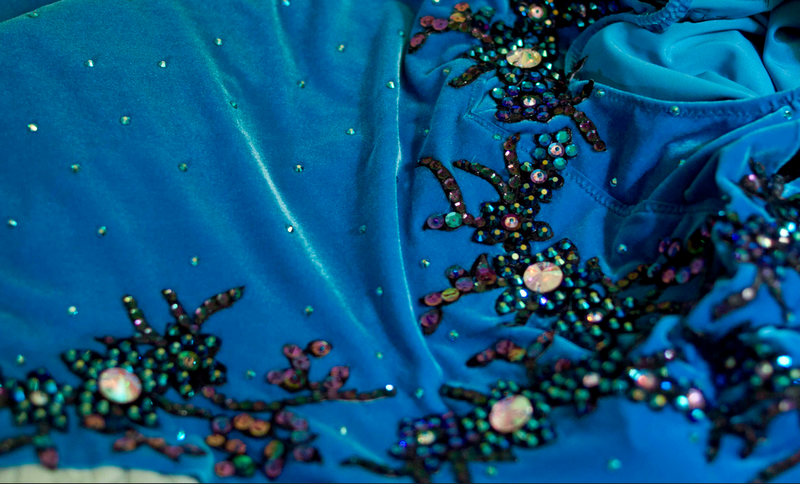 I also sewed on several stones and sequins on each of the flower appliques to make sure they would stay on the dress. 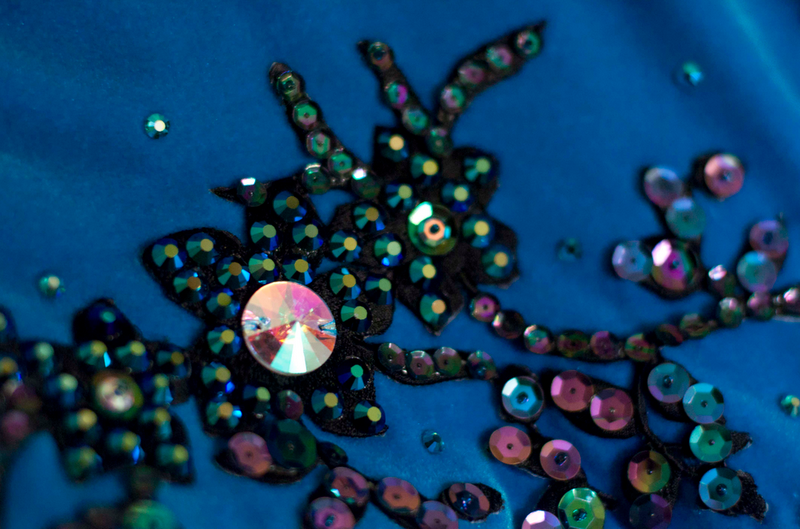 The remainder of the stones and sequins were glues onto the appliques and onto the dress and jacket. I used crystal AB and jet AB stones, as well as iridescent coated sequins. On the dress I used Blue Zircone AB stones for a little bit of added sparkle. These costumes took a LONG time to make, not because they were excessively complicated, but just because the beading and sewing-on of appliques took forever. I think I achieved the overall look I was going for (subtle, mature, sophistication), but, ultimately, I decided that it just wasn’t bold enough for nationals. 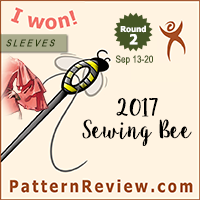 Well, that and I lost a little bit of weight between the sewing of this dress and the wearing of it, and I wanted something with a slightly better fit. 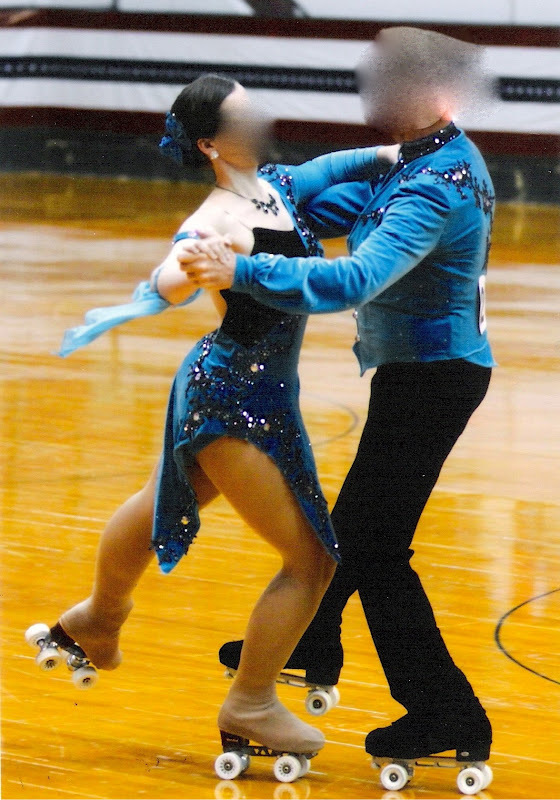 We did use these costumes for one of our events at nationals (these seemed more appropriate for a blues/waltz/foxtrot combo), but I ended up sewing two entirely new costumes (a dress and a tuxedo) for our other national event. Nobody was privy to the design until we showed up to skate, so the code name in my head was the “secret project of awesome.” They were possibly the most complicated skating costumes I have ever made, killed my sewing machine, and caused more headaches than I care to recount. But, well, they were awesome. I will show you tomorrow – stay tuned! I've loved seeing your skating dresses (I just wish the photos were bigger!) The applique with rhinestones is a great way to add design! i am totally going to steal that idea! These have been so beautiful to look at, well done! Wow. I think you've achieved just the look you were after. Incredible and I can appreciate all the effort that went into making these!! !